The Western Literature Association has proved to be an invaluable asset and I look forward to continuing to attend throughout my career. Location: the Hilton San Diego Del Mar, a beautiful coastal location one mile from the beach! 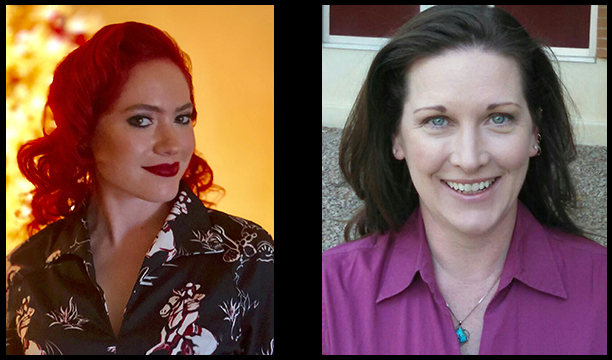 WLA Co-Presidents for 2020 will be Dr. Rebecca Lush, California State University San Marcos, and Dr. Kerry Fine, Arizona State University. Vortex Mosaic Surfboard, by Cherrie LaPorte. . Image courtesy of Cherrie LaPorte. Photo © Phil Ireland. San Diego, home of the Kumeyaay, is a region of shifting borders and contested spaces that has been controlled by Spain, Mexico, and, most recently, the United States. In contemporary times, the region of southern California has nurtured visual culture through Hollywood and Comic Con International, the largest convention for comic book culture in the world hosted annually in San Diego. Drawing on this mixture, the theme “Graphic Wests” invites proposals that take up the graphic in all of its connotations, from graphic content to visual texts as well as the intersections of the two when considering the varied literatures and cultural products of the North American West. We also invite papers that address the unique culture of Southern California, such as surf and coastal literatures, along with papers that examine California writers and themes. The 2020 Distinguished Achievement Award winners, poet Juan Felipe Herrera (21st National Poet Laureate), and fiction author Stephen Graham Jones, whose works exemplify “Graphic Wests,” will join us at the WLA’s 55th annual conference. The 2020 conference will take place in the beautiful coastal area of the Hilton San Diego Del Mar located just one mile from the beach and in close proximity to the Cedros Avenue Design District and Solana Beach. Additional speakers will be announced at a future date. We are also open to sessions on teaching and roundtable discussions. Proposals for individual papers must include a 250-word abstract, and proposals for panels and roundtable discussions must include an abstract for each paper or presentation. All submissions must include A/V requests. Proposals can be submitted using the ConfTool link accessible via the conference webpage starting in February 2020. The deadline for submissions is June 15, 2020. Please submit questions to Rebecca M. Lush or Kerry Fine at WLAConference2020@westernlit.org. CHECK BACK FOR MORE INFORMATION. It will be posted here as it becomes available. Founded in 1965, the Western Literature Association (WLA) is a non-profit, scholarly association that promotes the study of the diverse literature and cultures of the North American West, past and present. Published by the Western Literature Association, Western American Literature is the leading journal in western American literary studies. Copyright © 2013 Western Literature Association. If you encounter any problems with this site, please contact the webmaster, Sabine Barcatta, at info@westernlit.org.